Trigonometry simply means calculations with triangles (that’s where the tri comes from). It is a study of relationships in mathematics involving lengths, heights and angles of different triangles. The field emerged during the 3rd century BC, from applications of geometry to astronomical studies. Trigonometry spreads its applications into various fields such as architects, surveyors, astronauts, physicists, engineers and even crime scene investigators. Now before going to the details of its applications, let’s answer a question have you ever wondered what field of science first used trigonometry? The immediate answer expected would be mathematics but it doesn’t stop there even physics uses a lot of concepts of trigonometry. Another answer According to Morris Kline, in his book named- Mathematical Thought from Ancient to Modern Times, proclaimed that ‘trigonometry was first developed in connection with astronomy, with applications to navigation and construction of calendars. This was around 2000 years ago. Geometry is much older, and trigonometry is built upon geometry’. However, the origins of trigonometry can be traced to the civilizations of ancient Egypt, Mesopotamia and India more than 4000 years ago. Can trigonometry be used in everyday life? Trigonometry may not have its direct applications in solving practical issues, but it is used in various things that we enjoy so much. For example music, as you know sound travels in waves and this pattern though not as regular as a sine or cosine function, is still useful in developing computer music. A computer cannot obviously listen to and comprehend music as we do, so computers represent it mathematically by its constituent sound waves. And this means sound engineers need to know at least the basics of trigonometry. And the good music that these sound engineers produce is used to calm us from our hectic, stress full life – All thanks to trigonometry. if you know the distance from where you observe the building and the angle of elevation you can easily find the height of the building. Similarly, if you have the value of one side and the angle of depression from the top of the building you can find and another side in the triangle, all you need to know is one side and angle of the triangle. Have you ever played the game, Mario? When you see him so smoothly glide over the road blocks. He doesn’t really jump straight along the Y axis, it is a slightly curved path or a parabolic path that he takes to tackle the obstacles on his way. Trigonometry helps Mario jump over these obstacles. As you know Gaming industry is all about IT and computers and hence Trigonometry is of equal importance for these engineers. 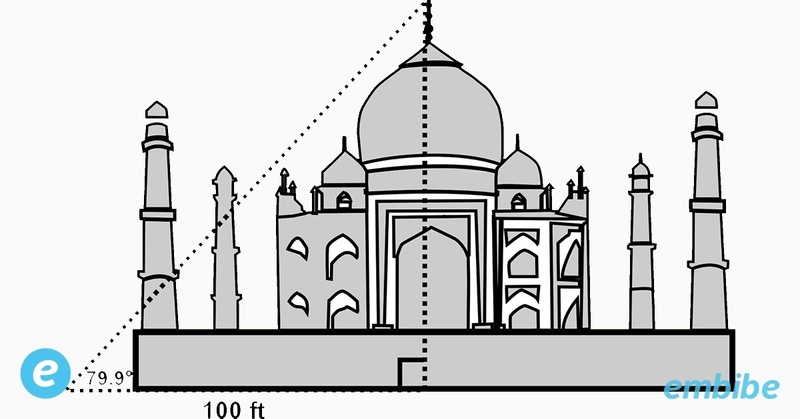 The height of the building, the width length etc. and the many other such things where it becomes necessary to use trigonometry. Architects use trigonometry to calculate structural load, roof slopes, ground surfaces and many other aspects, including sun shading and light angles. Flight engineers have to take in account their speed, distance, and direction along with the speed and direction of the wind. The wind plays an important role in how and when a plane will arrive where ever needed this is solved using vectors to create a triangle using trigonometry to solve. For example, if a plane is travelling at 234 mph, 45 degrees N of E, and there is a wind blowing due south at 20 mph. Trigonometry will help to solve for that third side of your triangle which will lead the plane in the right direction, the plane will actually travel with the force of wind added on to its course. In physics, trigonometry is used to find the components of vectors, model the mechanics of waves (both physical and electromagnetic) and oscillations, sum the strength of fields, and use dot and cross products. 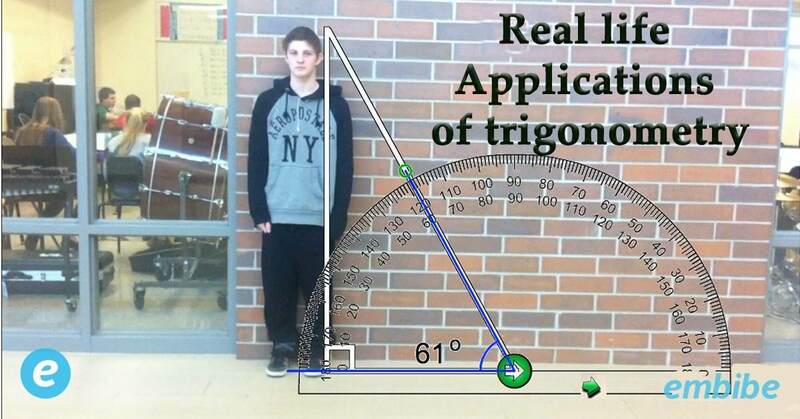 Even in projectile motion you have a lot of application of trigonometry. Trigonometry is used to divide up the excavation sites properly into equal areas of work. Archaeologists identify different tools used by the civilization, using trigonometry can help them in these excavate. They can also use it to measure the distance from underground water systems. In criminology, trigonometry can help to calculate a projectile’s trajectory, to estimate what might have caused a collision in a car accident or how did an object fall down from somewhere, or in which angle was a bullet shot etc. 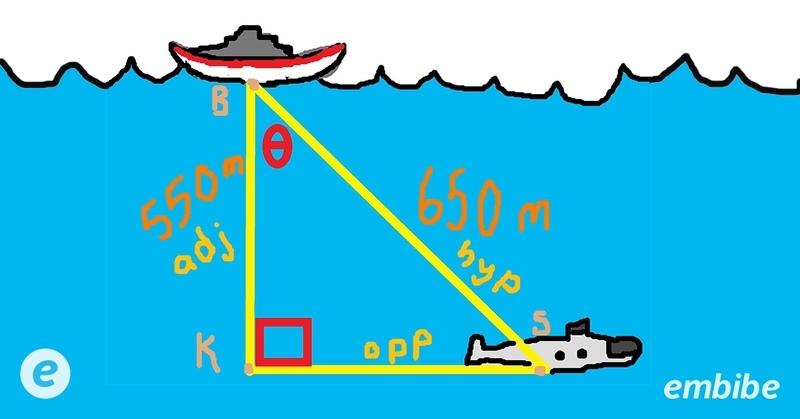 Marine biologists often use trigonometry to establish measurements. For example, to find out how light levels at different depths affect the ability of algae to photosynthesize. Trigonometry is used in finding the distance between celestial bodies. Also, marine biologists utilize mathematical models to measure and understand sea animals and their behaviour. Marine biologists may use trigonometry to determine the size of wild animals from a distance. In marine engineering trigonometry is used to build and navigate marine vessels. To be more specific trigonometry is used to design the Marine ramp, which is a sloping surface to connect lower and higher level areas, it can be a slope or even a staircase depending on its application. Trigonometry is used to set directions such as the north south east west, it tells you what direction to take with the compass to get on a straight direction. It is used in navigation in order to pinpoint a location. It is also used to find the distance of the shore from a point in the sea. 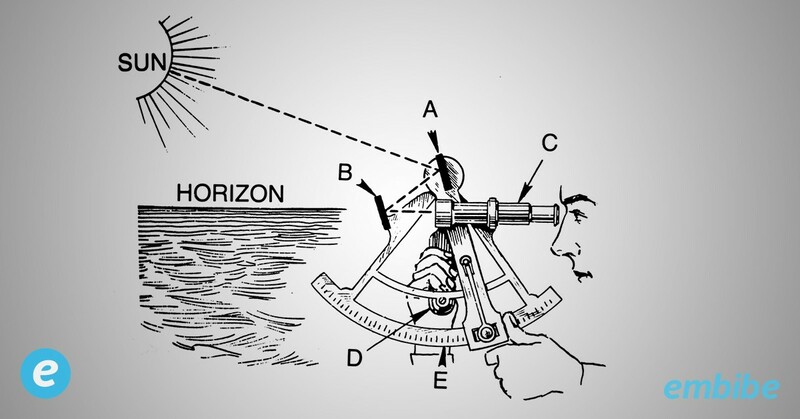 It is also used to see the horizon. It is used in oceanography in calculating the height of tides in oceans. The sine and cosine functions are fundamental to the theory of periodic functions, those that describe the sound and light waves. Calculus is made up of Trigonometry and Algebra. Trigonometry can be used to roof a house, to make the roof inclined ( in the case of single individual bungalows) and the height of the roof in buildings etc. It is used naval and aviation industries. It is used in cartography (creation of maps). Also trigonometry has its applications in satellite systems. 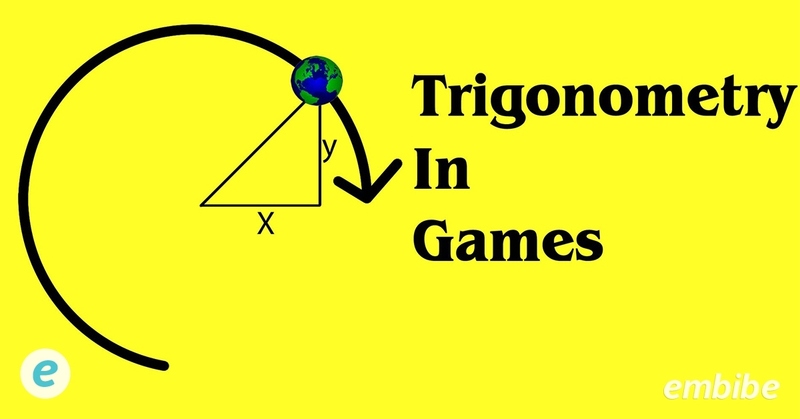 To start practising trigonometry all you need is to click here! Embibe has plenty of tests and practice to help you prepare for your JEE Exams, absolutely free. No sign up required, just start practising! Also, trigonometry is used in mechanical engineering. My father is a mechanical engineer and he uses trigonometry when designing equipment for companies. You too! But who is Ms. Wheelers?